Condition: In good condition no obvious damage to timber. 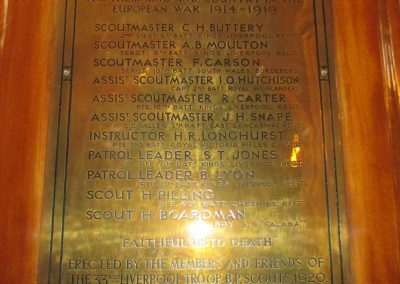 The church was started in 1912 and completed in 1914 it is in the Penny Lane area of Liverpool, made famous by the Beatles song. 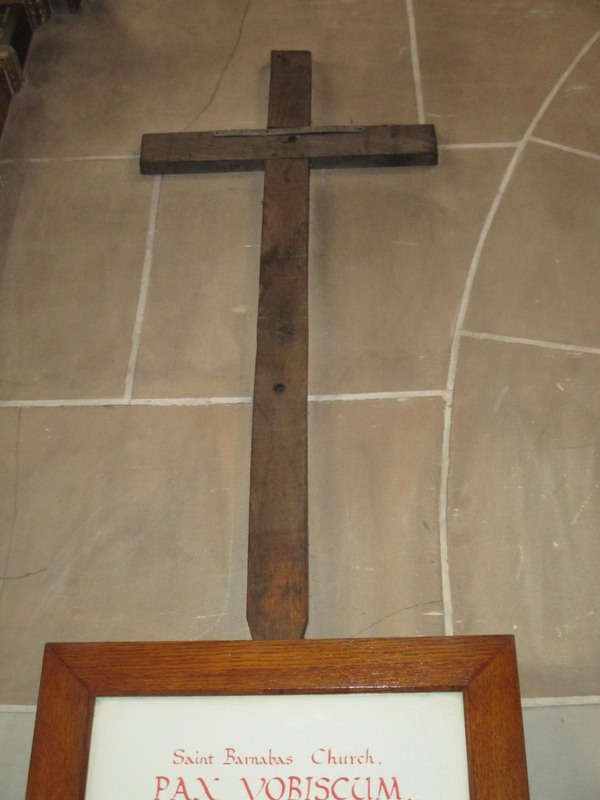 The cross is located in the entrance to the church set high up on the wall. 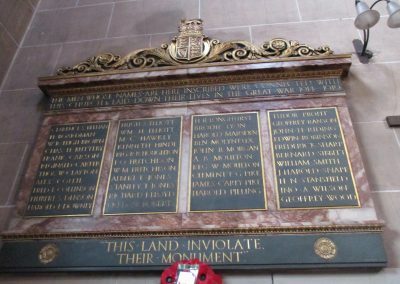 The vicar at the time of the first world war was a Rev James Pike who lost 4 sons in the war and whose daughter served with the Q.A.’s. The church has a beautiful stained glass window depicting nurses tending wounded soldiers ,with soldiers and sailors in uniform. 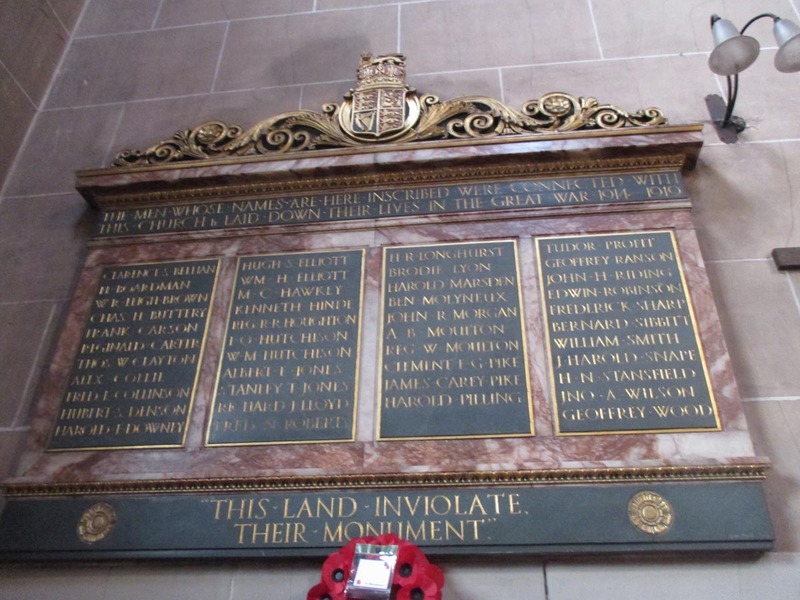 There is a large plaque to the men of the parish who were connected to the war particularly those who died. 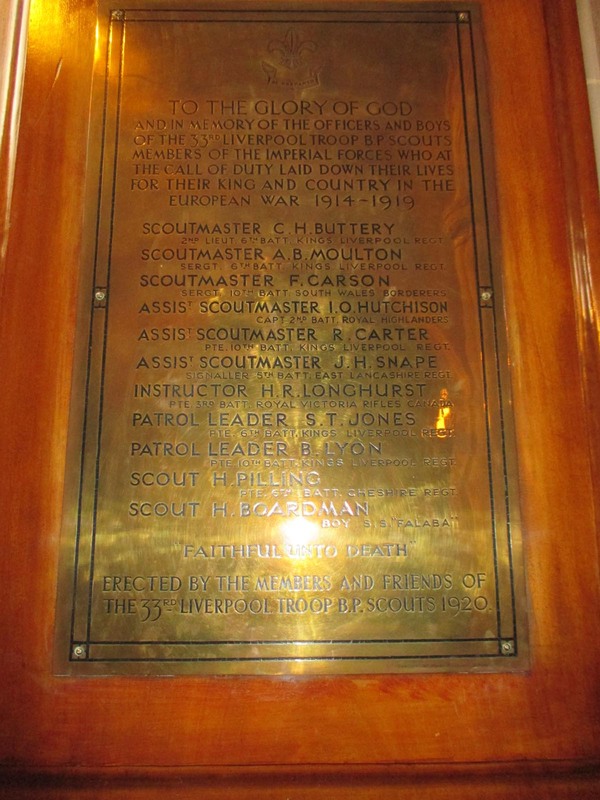 There is also an interesting brass commemorative plaque to the scout masters and troop members of the Liverpool 33rd scout troop who lost their lives in the war. One was a boy sailor on SS Falaba- H. Boardman. Once again i encountered a very helpful member of the church named Martin who shared the knowledge that he had of the church and its history. 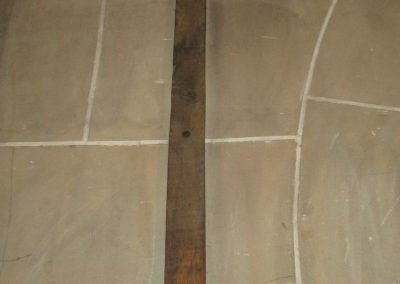 The difficult part about some of these churches is that due to problems of theft etc they are not open and it is sometimes difficult to contact anyone. I have taken to loitering after morning service on sunday to gain access on this day there was a christening taking place which was lovely to see.